The Dublin North TD said that the criticism from her former colleagues in the Socialist Party was “inaccurate” but said she would not engage in a war of words following her resignation earlier. THE DUBLIN NORTH TD Clare Daly has confirmed that she has resigned from the Socialist Party and in a statement says she is now a United Left Alliance (ULA) deputy. Daly has issued a statement this evening following an earlier statement from her former party which was highly critical of her political relationship with independent TD Mick Wallace. She said that the content of the Socialist Party statement was “inaccurate” but added that she did not wish to engage in a war of words with the leadership of the party. Attempts to contact Daly today have been unsuccessful. Meanwhile, RTÉ News reports that Wallace, who has been embroiled in controversy over his tax affairs in recent months, has described the Socialist Party statement as “too laughable to merit a reaction”. In a statement issued this evening, Daly says: “I can confirm that yesterday I resigned from the Socialist Party and redesignate myself as a United Left Alliance (ULA) TD. I believe it is time to prioritise the building of the ULA. “The success of the Household Tax Campaign and the prospect of an intensification of vicious attacks on working people in the next budget makes the building of an alternative political force, that can present a real challenge to the establishment parties, an urgent priority. Daly said that despite the statement from her former colleagues she hoped to maintain “good working relations” with the party which comes under the left-wing umbrella organisation, the ULA which also consists of People Before Profit and Workers and Unemployed Action Group. Daly described the ULA as a “real movement of people power”. The alliance wants to become a full political party but as TheJournal.ie reported in June but there are differences among its member parties as to just how quickly this should happen. Daly’s statement continues: “I note with some regret the inaccurate content of the Socialist Party statement issued today. I have no intention of engaging in a public war of words with the Socialist Party leadership. I am proud of my record as a Socialist Party activist and public representative, as a shop steward representing Aer Lingus workers and a campaigner with people across Dublin North and beyond. “I will continue with the same intensity and passion to represent and fight on behalf of working people inside and out of the Dail. I will be judged on my record over twenty five years and my future record. “I have the highest of regard for the members of the Socialist Party especially those past and present who worked tirelessly with me on numerous campaigns over the last 25 years. I hope to maintain good working relations with Socialist Party members and look forward to working together as ULA members. “I will be working closely with those who have made a priority of building the ULA and offer my support and assistance to branches and members in developing the ULA nationally. I hope to see a large number of ULA candidates running in the local elections. 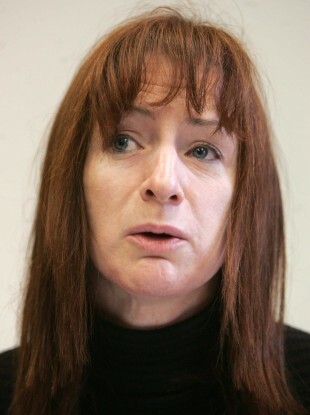 Email “Clare Daly criticises 'inaccurate' Socialist Party, says she is now ULA TD”. Feedback on “Clare Daly criticises 'inaccurate' Socialist Party, says she is now ULA TD”.